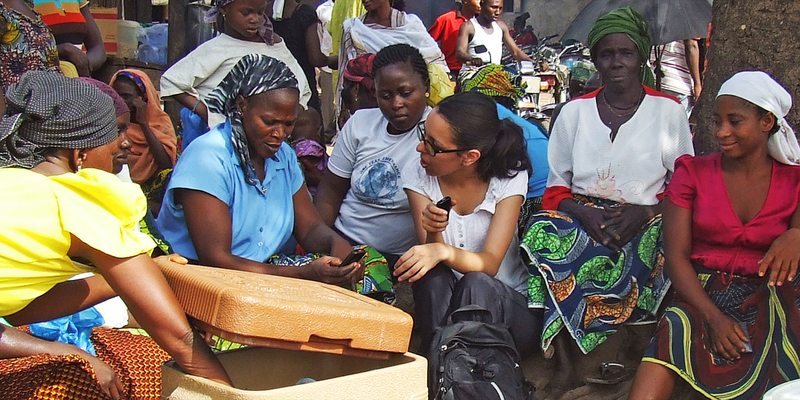 Funded by the World Bank and implemented by Reboot and Dimagi, MyVoice is a project focused on collecting citizen feedback through the use of an SMS-based tool. 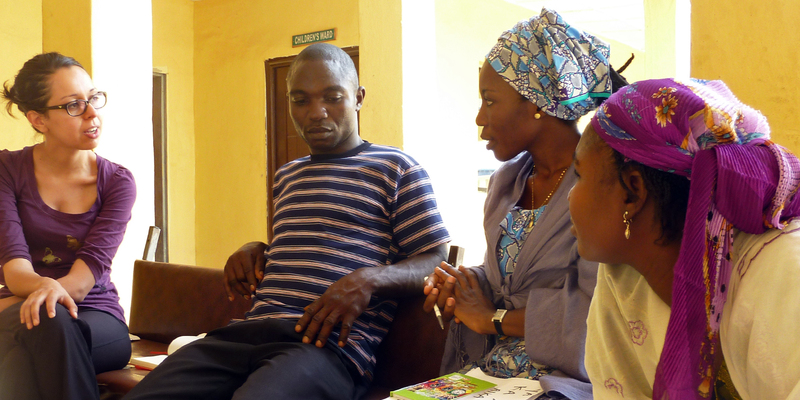 As the program manager with Reboot, I led multiple field visits to Nigeria, conducted ethnographic research, recruited and trained local teams, and helped research, prototype, test, and plan for the implementation of the service. 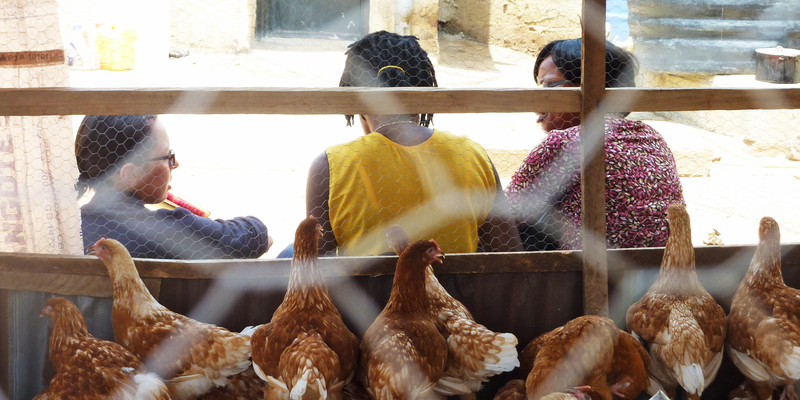 The World Bank funded two critical healthcare and agriculture programs administered by the Ministries of Health and Agriculture in Nigeria, but had no mechanism in place to track service delivery. Our challenge was to create and pilot a system to empower beneficiaries to voice their feedback on said programs and to transform this feedback into actionable information that program administrators could analyze and respond to, thus increasing their accountability and responsiveness. 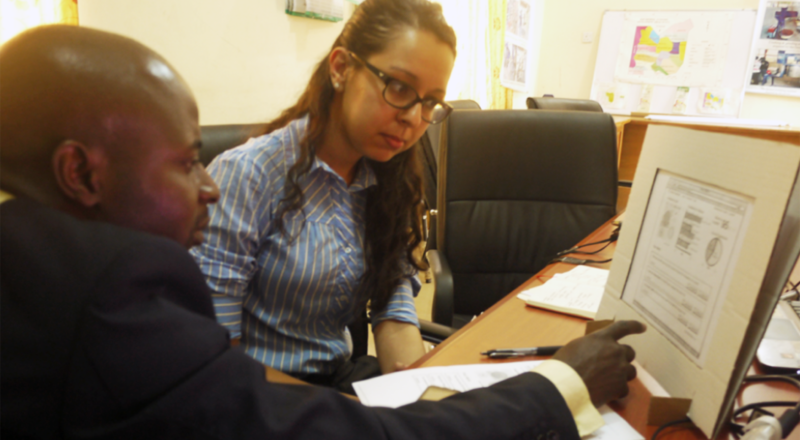 My team conducted primary interviews and observational research in the field. Our goal was to understand people’s relationship and perception of government and its services, how they talk about problems with peers, how they communicate with each other and with authority figures, and what channels they use and trust to receive and send information, in order to design a tool for providing feedback that fits into their existing behaviors and societal structures. For instance, deference to village leaders was common practice when it comes to contacting government institutions directly. In a few villages we visited, we noticed people leaving their mobile phones hanging from trees that are known for having the best mobile network signal, waiting around until they’ve collected all their messages. This not only confirmed our initial assessment of the difficult network connectivity issues, but also demonstrated the need for a solution that accommodates asynchronous communication. In addition to citizens and end beneficiaries, our team sought to better understand the perspective of government program administrators, their capacities, reporting lines, incentives, and institutional structure within the ecosystem of the Federal, State, and local government. This allowed us to map out their existing Monitoring and Evaluation (M&E) processes, into which the solution ultimately needed to fit. 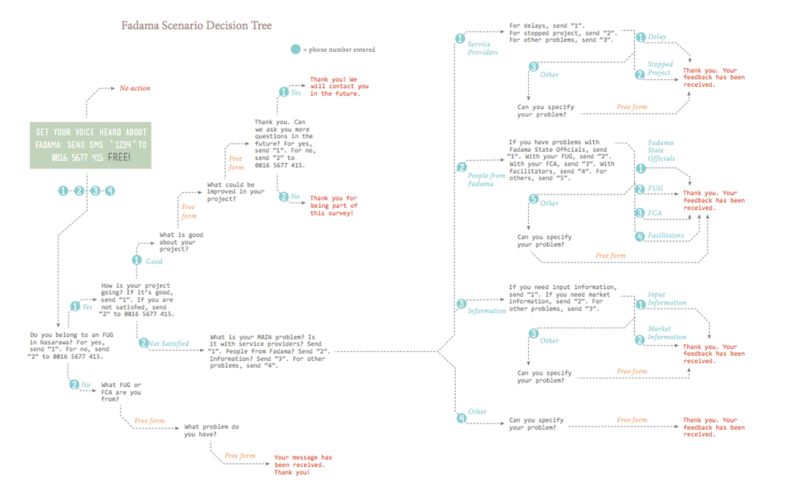 Leveraging our research findings, We build personas for both existing and potential program beneficiaries (which the team referred to as front-end users) as well as program administrators (back-end users), and user scenarios. 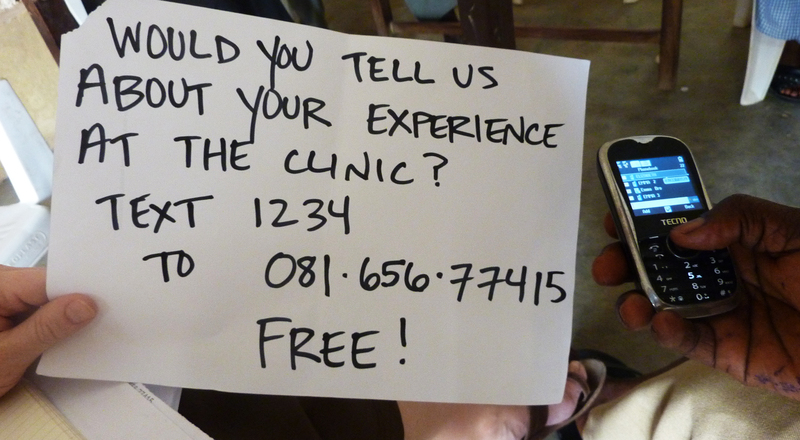 On the citizen side, we focused on testing assumptions around the viability of an SMS (text message) based feedback channel. 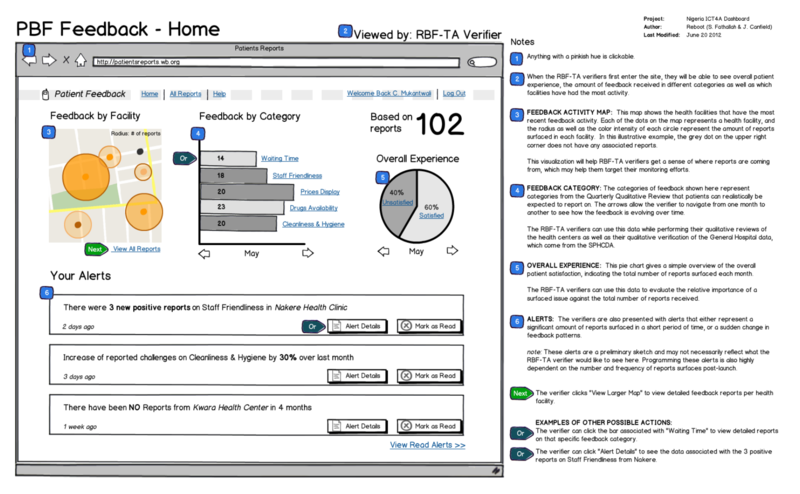 On the government side, we built low-fidelity wireframes of a dashboard aggregating this feedback across locations and service categories for easy trends analysis and direct response. We put prototypes in the hands of users to test our assumptions. Early testing rounds with front-end users involved a Wizard of Oz prototype where we simulated the existence of the SMS system. We prompted users with an interactive survey composed of a series of multiple choice answers to which they respond with a number. We realized early on that the cost sensitivity of beneficiaries was very high, hence the need for the solution to be free for the beneficiaries. While we could not integrate this reverse-billing into early testing, we did reimburse testing participants for airtime, which was sufficient incentive to ensure their participation. 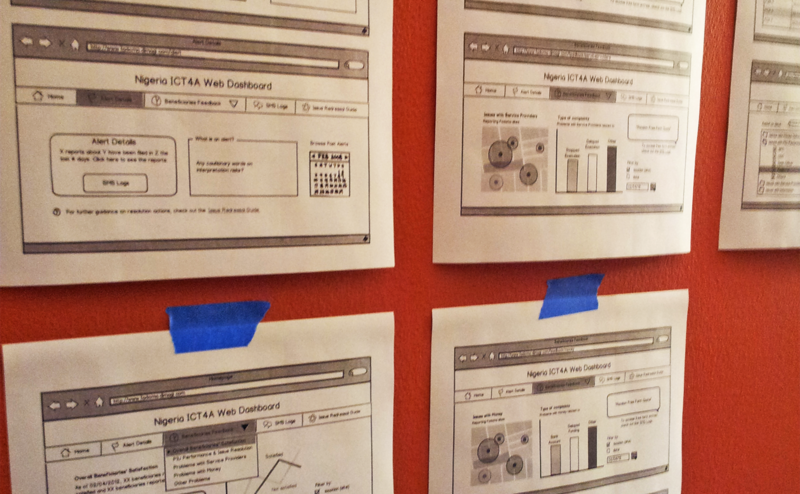 With back-end users, I was in charge of conducting scenario-based testing of wireframes we created using paper prototypes. Previous testing learnings were synthesized into technical user requirements, which were shared with development partner Dimagi. Due to connectivity issues, the team ran the system on a local server (i.e. a laptop), which proved to be quite challenging. However, having the development team in the field was ultimately beneficial as they fully understood the rationale and user needs behind all the technical requirements. Before implementing our solution, the team needed to generate awareness and drive participation through both training and outreach. 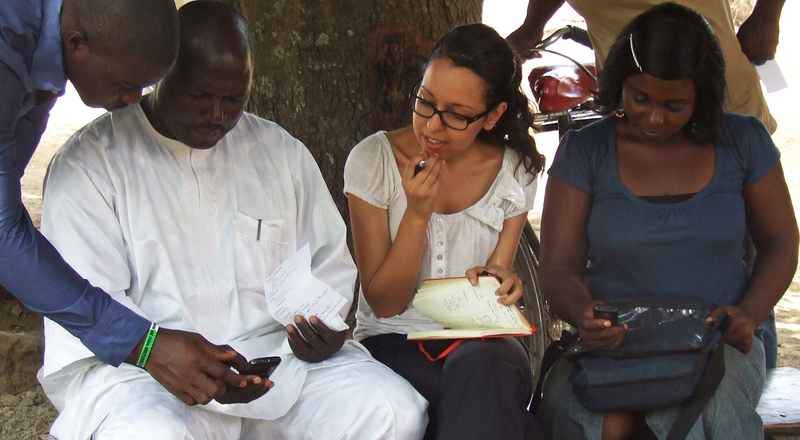 We helped identify and hire a number of young people that could serve as proxy reporters for community members that did not have mobile phones or were illiterate. We created a curriculum and a set of materials for a training of trainers program targeted at these reporters. On the government program administrators end, we provided onsite assistance and training to officials that were directly responsible for using the system. 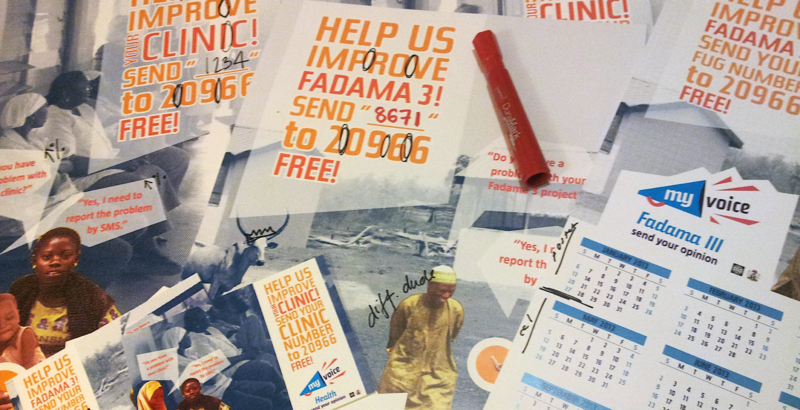 Lastly, the team developed the brand identity of the solution (MyVoice) coupled with promotion materials (posters, calendars), as well as radio show scripts that were aired to further increase awareness. As we were gearing up for pilot launch, we had difficulties in getting the regulatory approval for a shortcode phone number with a reverse billing setup (i.e. 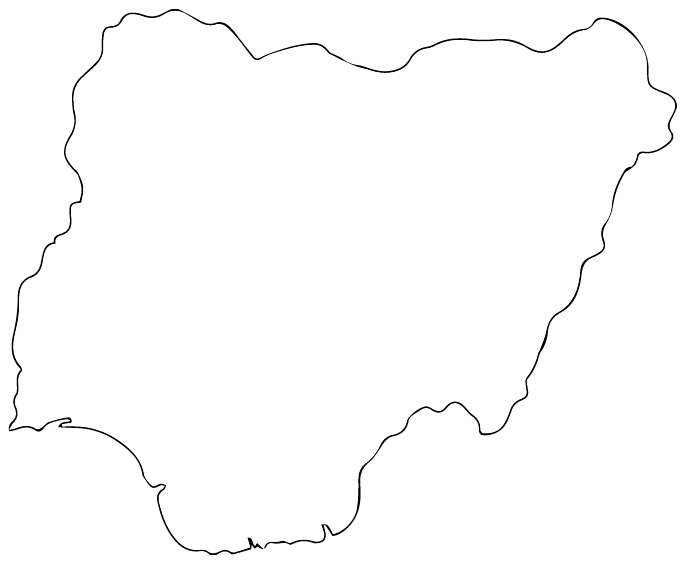 where the costs incurred by beneficiaries are charged directly to the Government of Nigeria and the World Bank). This was a critical aspect of the solution without which beneficiary participation would be compromised, and caused the pilot launch to be delayed. MyVoice was finally launched in late 2014. 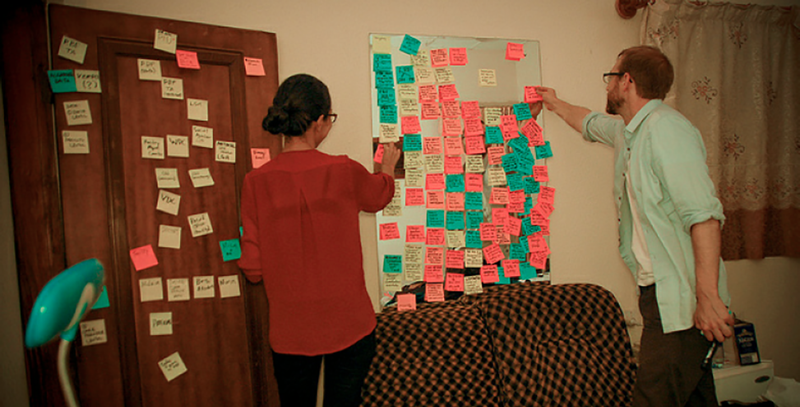 My blog post describing a day in the life of this project: "Design Diary: Nigeria Edition!"